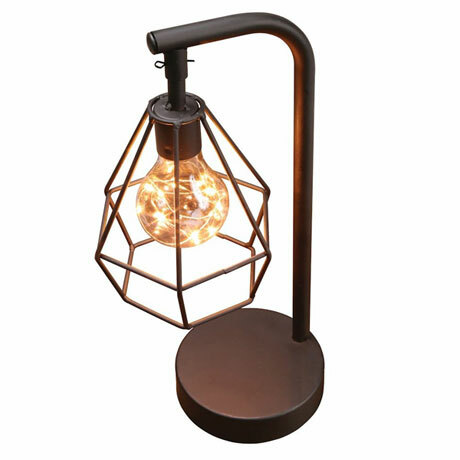 When off it looks like a vintage industrial cage light, but when you turn it on, the bulb glows with a string of tiny LED lights for a mesmerizing effect. 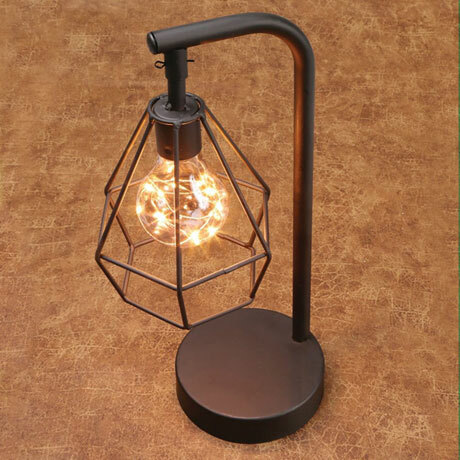 Black aluminum post and wire frame create a retro look that is at home in any study or on your desk. Conveniently place this wireless lamp anywhere; it runs for months on three AAA batteries (not included). On/off switch on bottom. Stands 12" high.